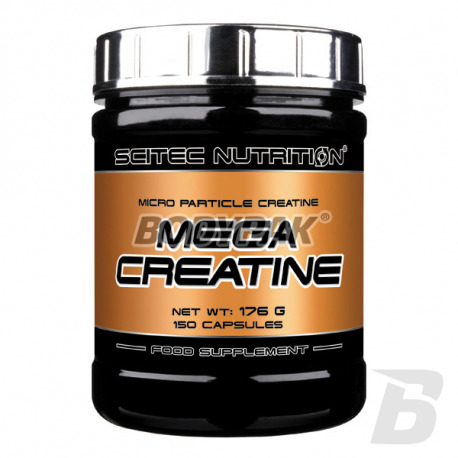 CreatineScitec Mega Creatine - 150 kaps. 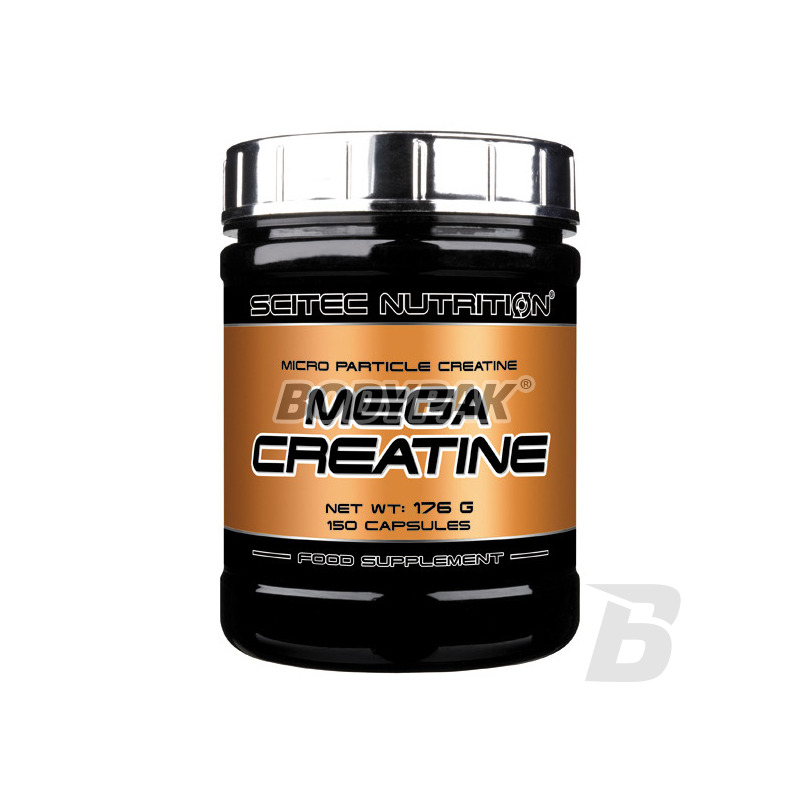 Scitec Mega Creatine - 150 kaps. Incredibly strong creatine monohydrate in the form of capsules. It supports rapid and sustained expansion of the muscle tissue and strength! Scitec MEGA Creatine is the highest quality micronized, free from contamination. Creatine is a nitrogenous organic acid which occurs in vertebrates. Approximately 95% of the creatine in the body's skeletal muscle cells. These cells can store more creatine than as much as is normally in the daily diet is synthesized by the body. By supplementing the diet with creatine, muscles retain more creatine. Creatine in the minimum daily dose of 3g is scientifically proven that it improves performance in another effort to short-term, high-intensity exercises like weight training and cardio *. Scitec MEGA Creatine provides our Micronized Creatine MicronTec (smaller particle size)! Exhibits antioxidant properties - helps fight dangerous to health, free rodniki.Dodatkowo prevents a number of harmful effects arising due to oxidation podczaswysiłkowego. * This statement has been scientifically proven and approved by the European Food Safety Authority. Składniki: Mikronizowany monohydrat kreatyny MicronTec, żelatyna wołowa, substancja spulchniająca (Stearynian magnezu), barwnik (Dwutlenek tytanu). Bardzo dobry ten monohydrat, nie widze taki dużego zatrzymywania się wody pod skórą, wszystko idzie w mięśnie!! !